At no cost or risk to you, Revenew’s data analytics team will aggregate your vendor spend and transaction count. Following our accounts payable audit, we’ll provide a list of vendors that we believe will yield cost recovery savings. 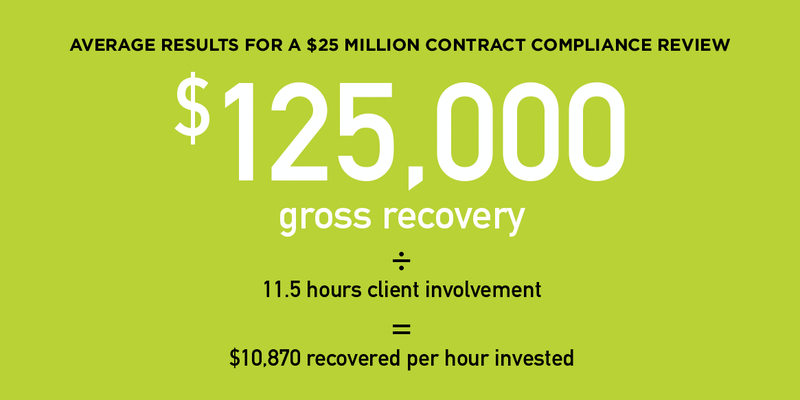 Our Cost Recovery and Containment services yield hard-dollar results for our clients – specific, tangible and often quite substantial. Minimal time and resources required. Our client involvement is typically 11.5 hours. No recoveries = no fees. We’re paid a percentage of what we recover, so there’s no risk. We more clearly define deliverables, to the benefit of all. Reap the rewards of our free offer. to set up your free analysis today. You have everything to gain.